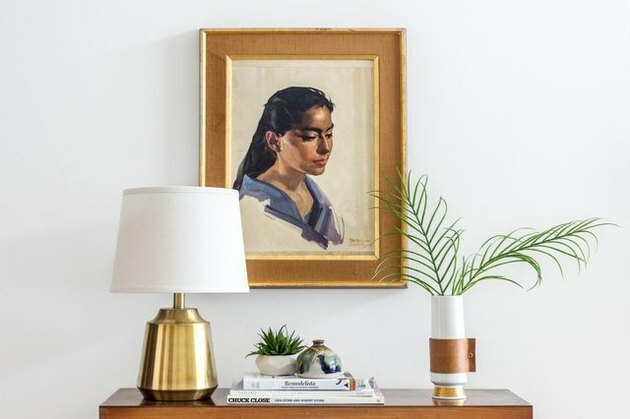 In our humble opinion here at Hunker, if you're not doing at least one of these DIYs, you are missing a serious opportunity to drastically improve just about any space of your home. A room doesn't feel complete until it's properly adorned with personal touches, and the garage is no exception. Really, all you need are a few inexpensive materials and boundless creativity. 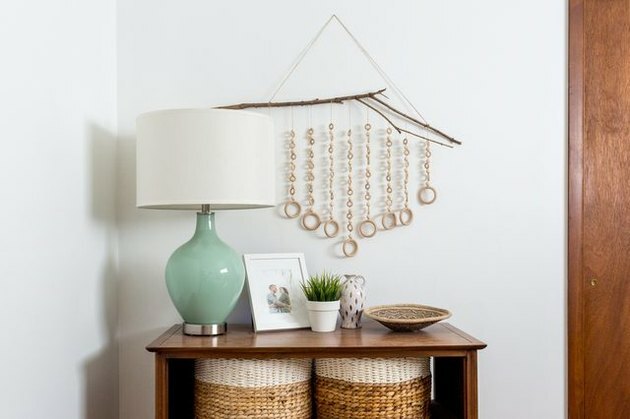 From copper pipe to plywood, hand-molded clay bells to an entire chandelier made of tassels, here are some stylish decor ideas that'll cozy up the place. 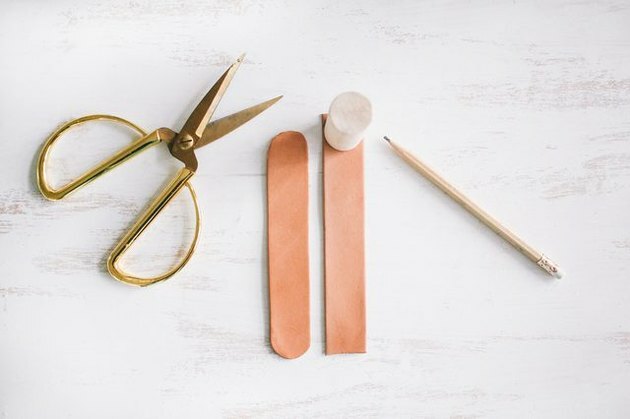 Because as far as we're concerned, creating DIY projects for your home is a trend that will never get tired. How to be both boho and glam at once, you ask? 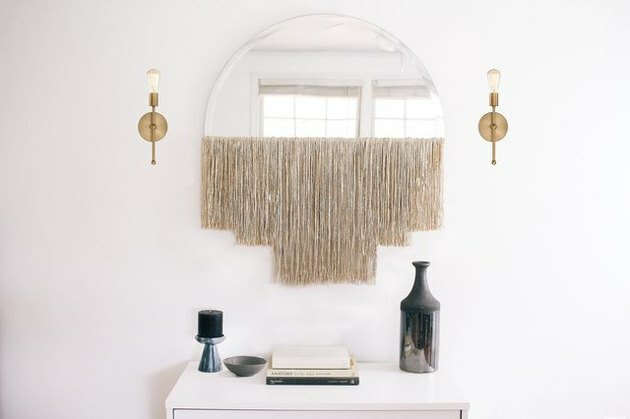 This chic fringed mirror covers both bases, and it's the über-popular wall accessory of the moment. 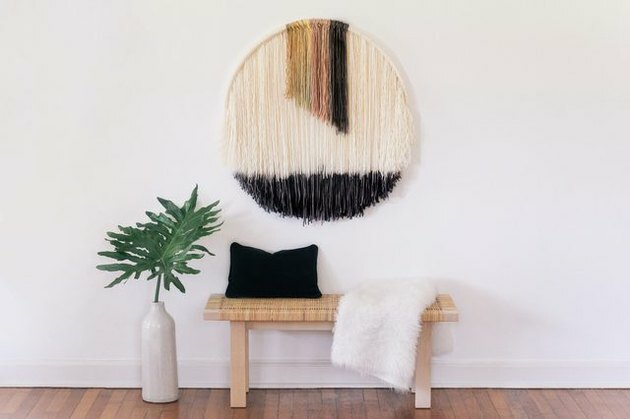 Talk about an entryway statement piece. 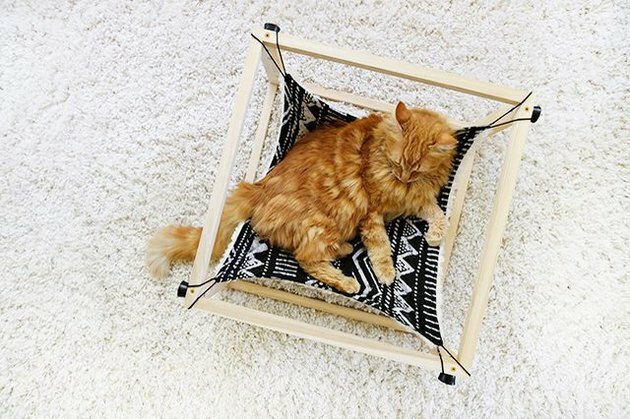 This kitty hammock is not only pure luxury for your fur baby with its double-sided fabric dual summer/winter cover, it's also totally machine washable. Our pal Pumpkin thinks it's the cat's pajamas. Get your hands on some power tools and make your very own wooden bath tray. 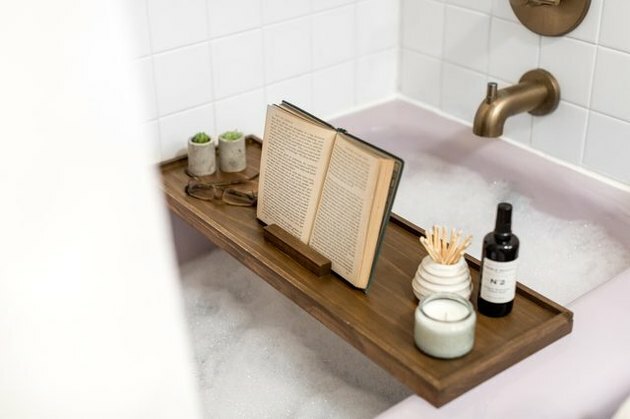 Our tutorial offers the basics, but feel free to trick this baby out with a custom smartphone holder for Netflix 'n Chill: Tub Edition. 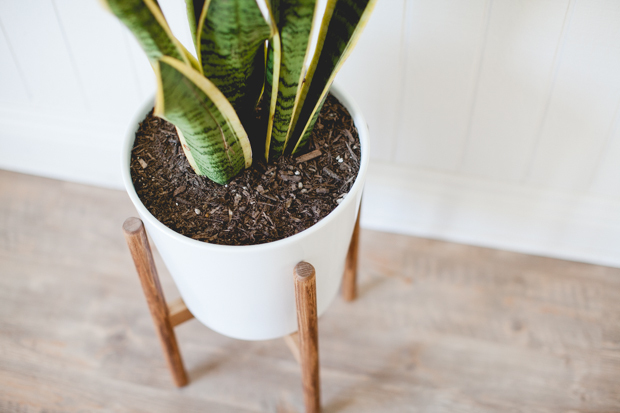 Easy-to-care-for house plant, meets easy-to-make holder. This DIY goes out to you serious black thumbs out there, or the dirt averse. 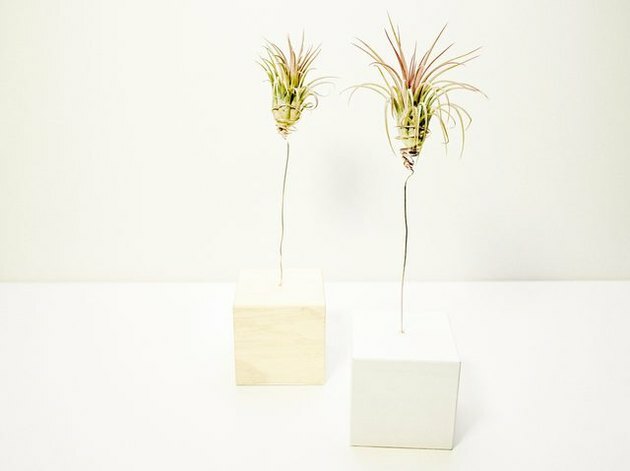 Plus your air plants will look like mini palm trees! Who can resist? 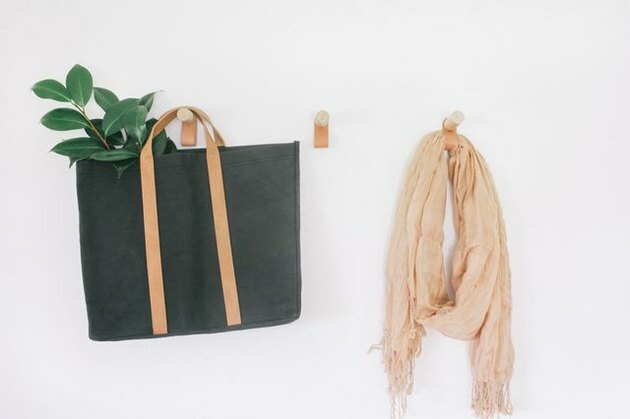 These leather and wood wall hooks might be minimal but they offer no shortage of style and utility. Perfect for a small entryway; you'll never forget your keys (or purse) again! 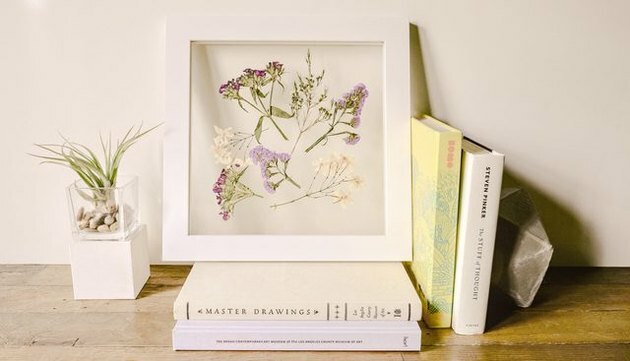 A sweet smelling DIY that will teach you how to press flowers the traditional way: between heavy books and left for upwards of one week. Trust us, it's worth the wait. 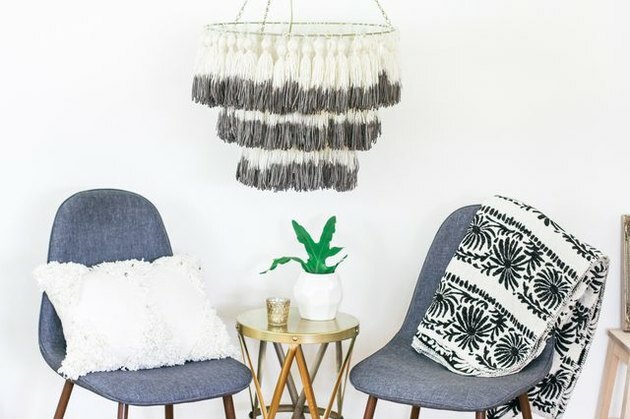 Never enough bohemian vibes to go around: Our boho tassel chandelier DIY shows you how to achieve dip-dyed tassel perfection from start to finish. 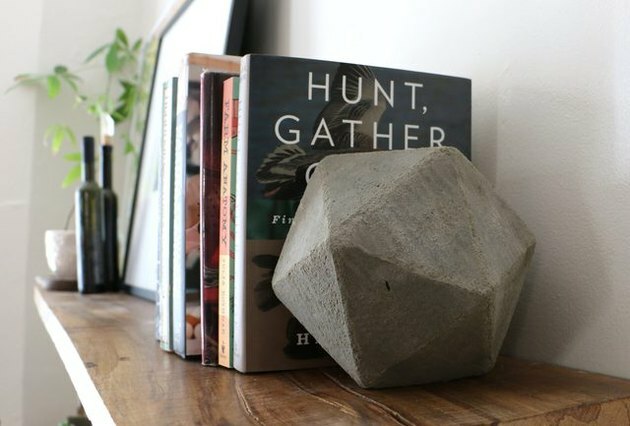 Incorporating found natural materials into your interior decor is a stylish choice (not to mention: free) — they are basically like one-of-a-kind sculptures by Mother Nature. 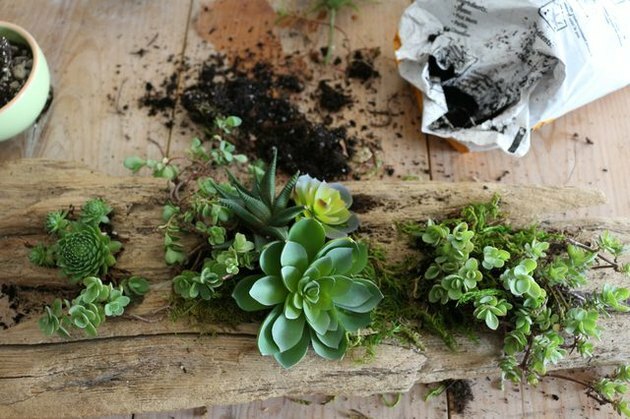 This DIY will take you all but one afternoon, and the hardest part will be selecting the perfect branch. 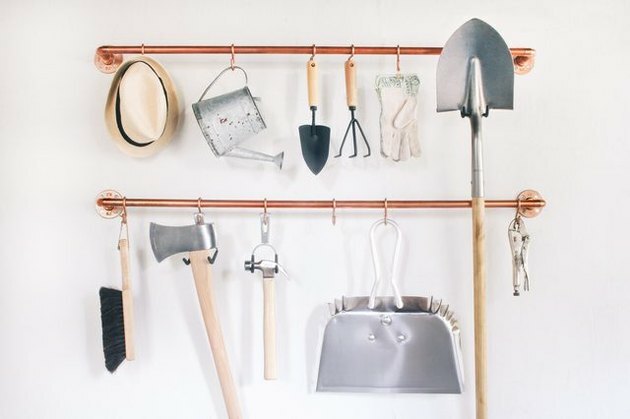 For those who feel pegboards are utterly passé, we offer an alternative: This copper pipe tool organizer will keep everything off the floor and neatly arranged. Because your garage deserves nice things, too. Go ahead, try saying astiankuivauskaappi three times fast. 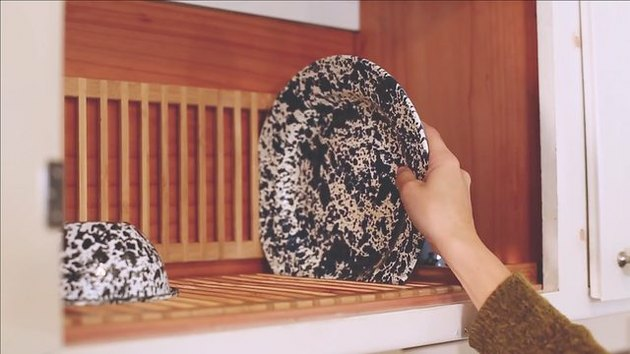 You're going to need to practice your Finnish, so that you can brag with confidence to all of your dinner party guests about how much counter space you save with this stealthy DIY. If you own the Ring, this message is spot on. 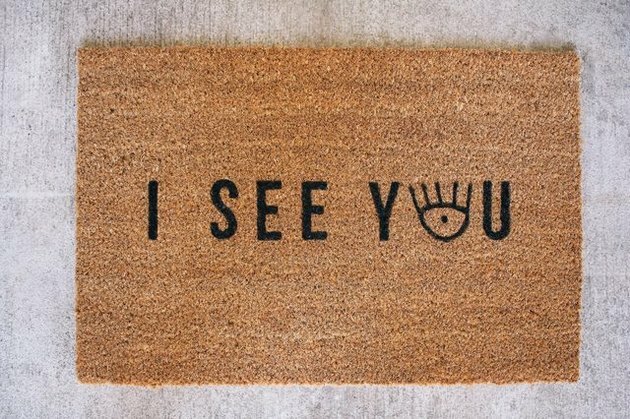 Our easy doormat DIY comes with a printable design, and when paired with an inexpensive Ikea mat, this project really is a no-brainer. Do it this weekend. 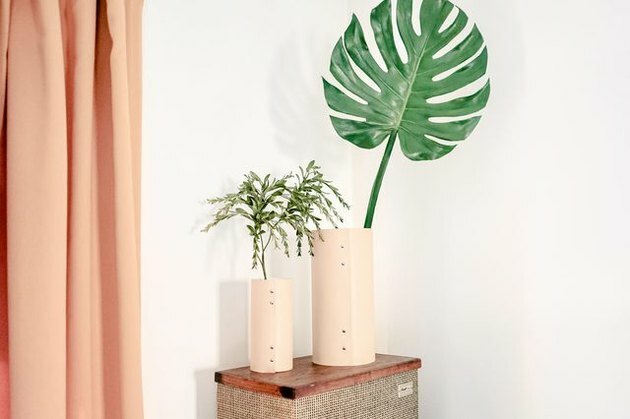 Go faux or real for this modern leather vase tutorial, and consider yourself leveled way up in the DIY home decor game. 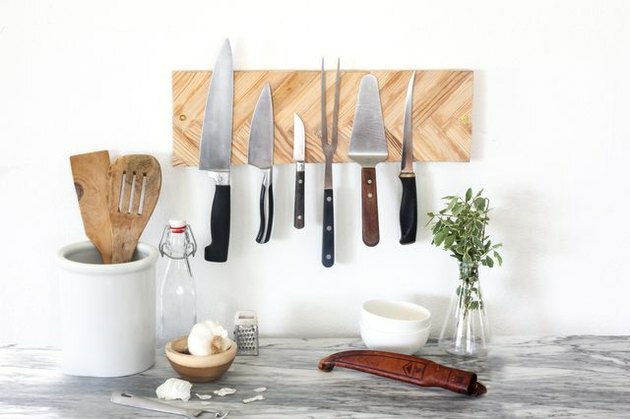 No one will ever know that you made this gorgeous herringbone wall-mounted knife rack from a grip of free wooden pain stirrers. Unless you want to brag, which we kinda recommend because this project is just so cool. 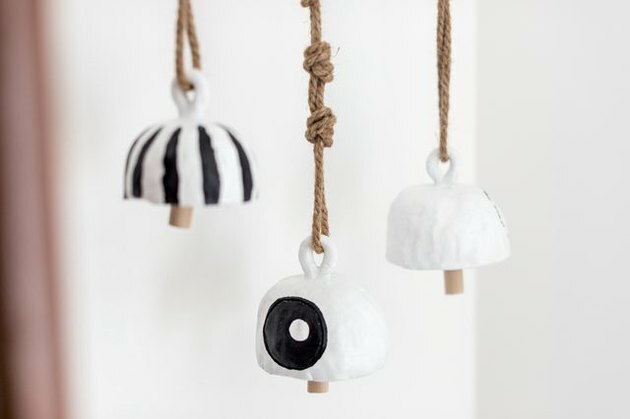 This DIY is for you kinesthetic types: Our clay bells tutorial lets you get your hands dirty, all in the name of art with just a little air-dry clay, paint, and time for creativity. 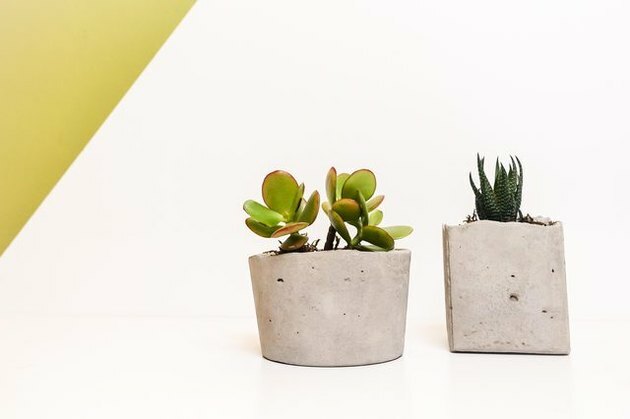 Modern cement succulent planters might just make the most perfect housewarming gifts ... to yourself. 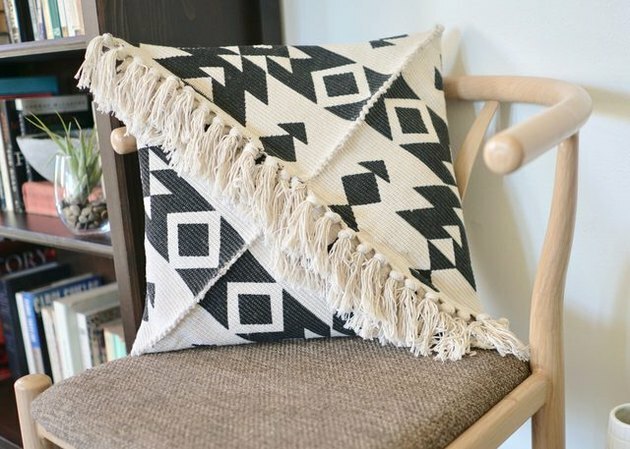 Make your way far enough down this DIY list and you might just earn a Minor in the Dip-Dye Technique from Hunker University. Plywood is pretty much a midcentury modern lover's best friend (along with the beloved, sacred cinderblock). 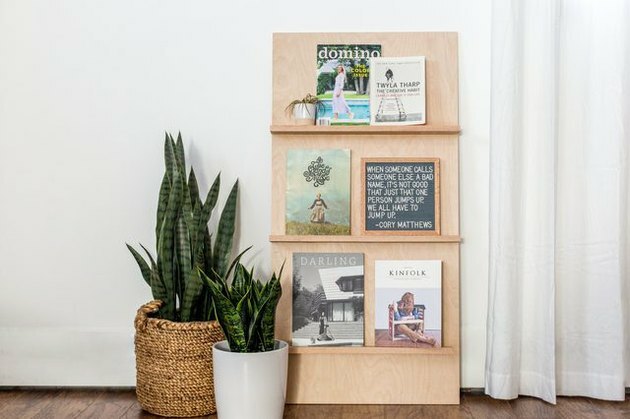 Utilize the inexpensive material, even if you're renting, to create this portable plywood magazine rack. Using pipe to build furniture is kind of like Legos for adults, only much more practical. And better looking. 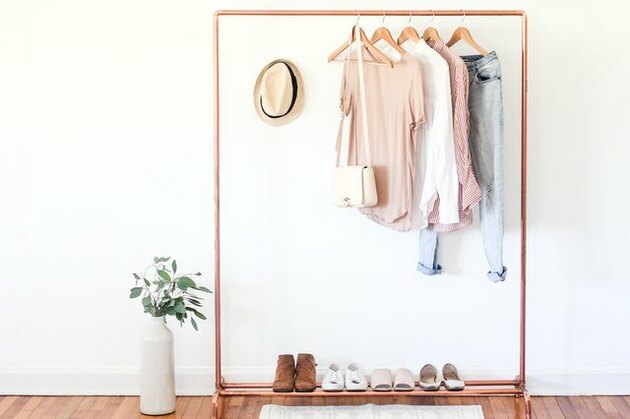 Our easy to construct copper pipe clothing stand is designed with its own shoe rack and whatever else you can imagine (built-in back scratcher??). This super simple DIY project will leave your favorite vintage vase with its very own cool leather koozie. 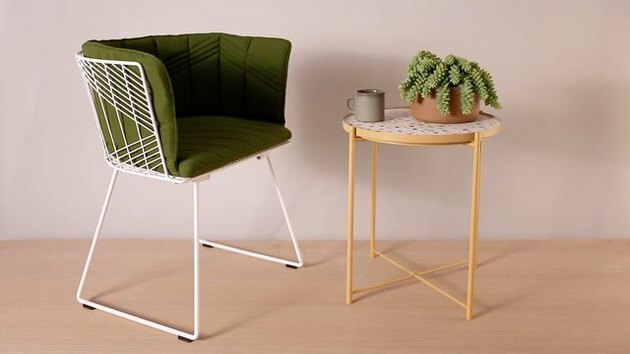 You'll get bonus DIY points if you can make this mid-century inspired plant stand with upcycled broom or rake handles. If not, do it with dowels, like we did. Terrazzo table by way of the ultimate Ikea Hack: Our tutorial will show you how to make a custom terrazzo piece with help from everyone's favorite Swedish superstar. This one goes out to those gifted mathematicians who passed geometry the first try. Or at least for those who are super studious when it comes to following directions. In this tutorial, we lay out all the measurements for you so you can just create. If you're lucky enough to have a steady driftwood connection, you've got endless DIY projects ahead — Martha Stewart herself will fly from Skylands, her impeccable summer home on the coast of Maine, and kiss you on the forehead after you make this succulent driftwood planter for a dinner table centerpiece.